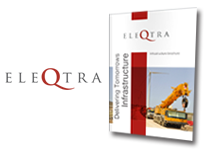 eleQtra is the premier infrastructure developer and project sponsor in sub-Saharan Africa. 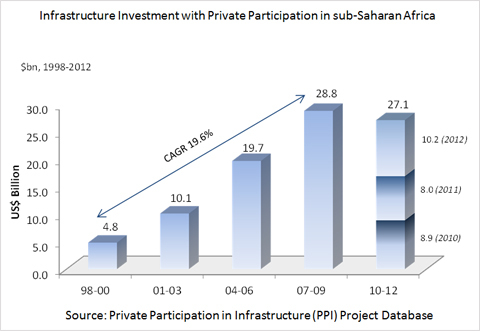 Infrastructure investment with private participation in sub-Saharan Africa (excluding South Africa) grew at a CAGR of over 20% from 1998 to 2009. Market structural changes in sub-Saharan Africa, driven in part by economic transformation, have created new and significant demand for private investment in the region. It is estimated that approximately $45 billion of infrastructure investment activity will be required annually over the next ten years. 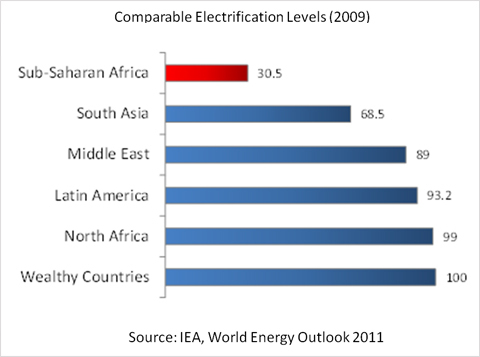 Over $40 billion of annual investment is required in the energy sector alone – electrification levels are far below the rest of the world.